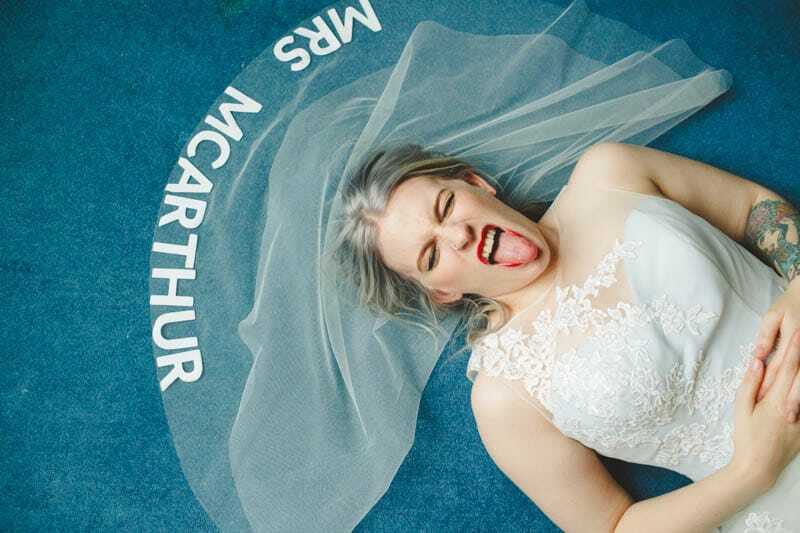 CROWN & GLORY & ROCK N ROLL BRIDE JUST REVEALED THEIR NEW COLLECTION AND IT IS TOTALLY EPIC! The Rock n Roll Bride for Crown & Glory collections have been creating quite a buzz ever since they launched their very first collab together nearly three years ago. Kat & Sophie have created a range of bridal accessories that really is like no other and have previously included floral cat ears, Glitter belts, ‘Bride to Be’ Headbands (my personal fave!) and much more. But now the girls have moved on to something bigger and better! Since announcing the latest range would be veils, Kat has been teasing sneak peeks on her instagram which has been getting us all sorts of excited but last week was the official launch and we have been dying to share the range ever since! Well we have some exciting news for you! Not only are we sharing the launch with you today, you can now shop the full range in BB boutique! The capsule collection is made up of six pieces that can all be customised to suit a bride’s own, distinctive style. The glitter bows come in 30 colour options, the heart encrusted gem pieces can be created in any colour, and the Circle Slogan Veil was designed specifically to allow brides to stamp their own word or phrase on it! 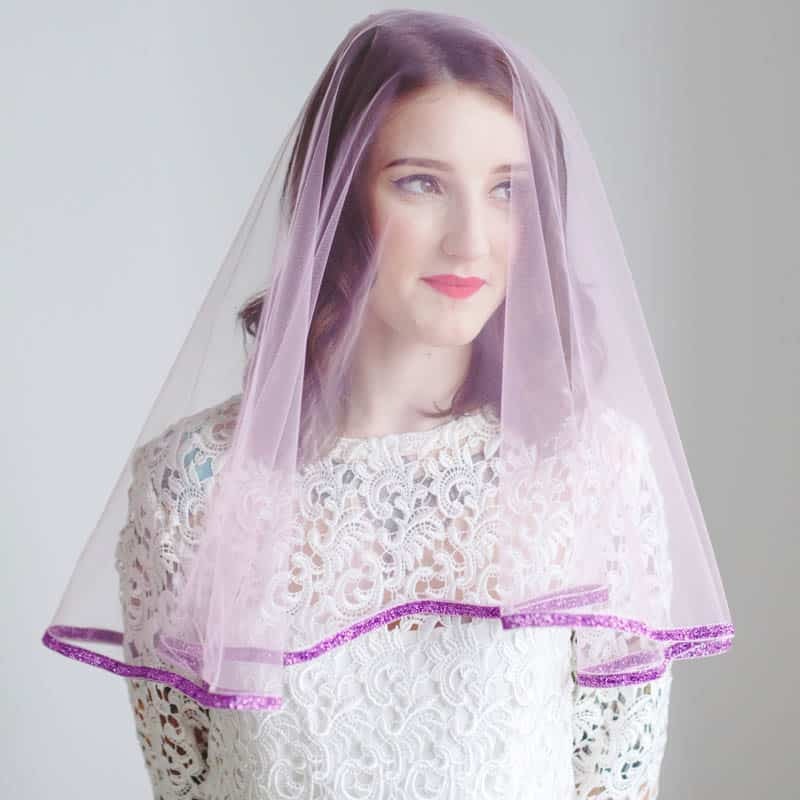 These pieces are designed to be as individual as the brides that will wear them. I am finding it soooo hard to pick a favourite out of these, but I think it would have to be choice between the slogan veil and the pom pom veil. Decisions decisions? You can now shop the full collection in BB boutique. Which one would you pick? What a gorgeous new collection! Amazing wedding dress collection! Love the bright colors! The veils are brilliant! Love the pom-poms one! Where are the dresses from though please? The bridesmaid dresses are lovely! They are amazing aren’t they!! I am not 100% sure where the dresses are from but I have a feeling they are from The Couture Company?